A traditional style named for John Darby, preacher of temperance whose parishioners were oddly moved by a ‘soft drink’ they insisted was just fig juice . . . The brewery at Blaugies has answered the call. According to Jackson, “The figs are not evident in the flavor, which is light, lemony and dry.” This is a great beer for summer – and the best “blanche biere” of Belgium. Very spritzy, as a saison should be – be careful popping the cork. 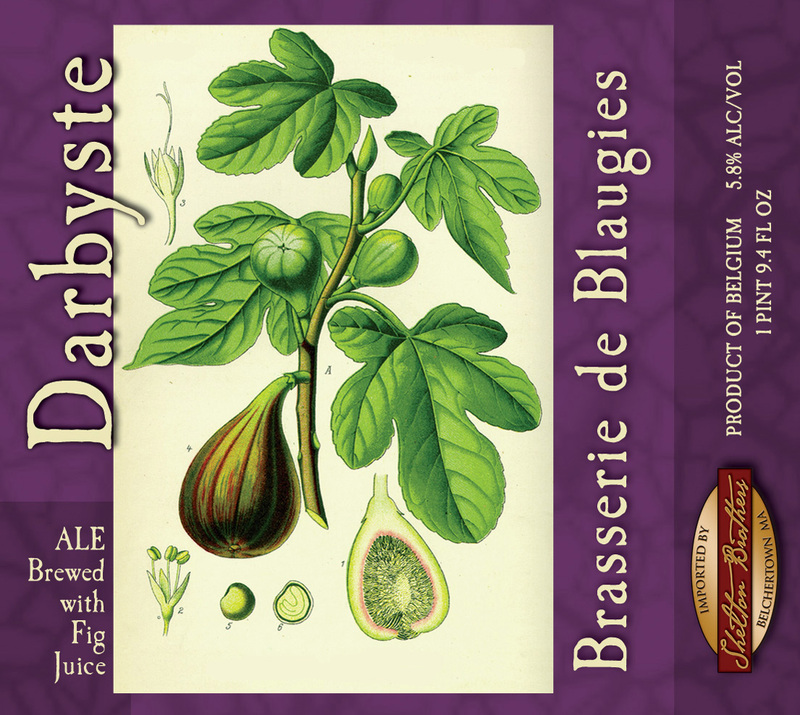 Darbyste is hand-brewed in small batches by the impassioned, gifted Blaugies brewers, a husband, wife, and son team. They’re very adventurous in recreating traditional beer styles – and are some of the nicest people you will ever meet. The family enjoys good food and beer, and consumes a lot of its own product for cooking and drinking. We like the rougher, grainier malt texture of all their beers. They give you the feeling that the brewers put this beer in a bottle just a few days ago, especially for you.